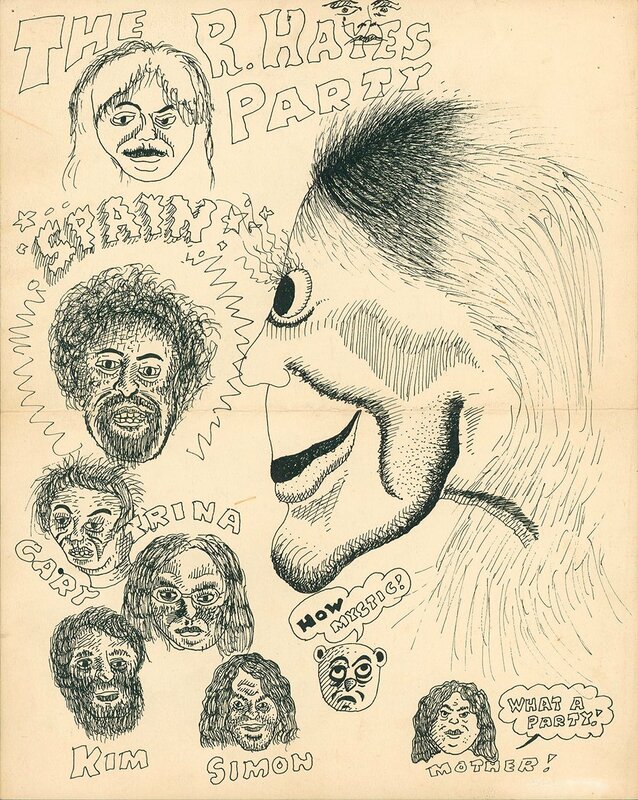 Great page of drawings by outsider underground artist Hayes, featuring portraits of fellow undergrounders Spain Rodruigez, Gary Arlington, Trina Robbins, and Kim & Simon Deitch. Extraordinary! Pen and ink on paper, 11 x 14 inches. Very good condition, the paper had been folded in half at some point.